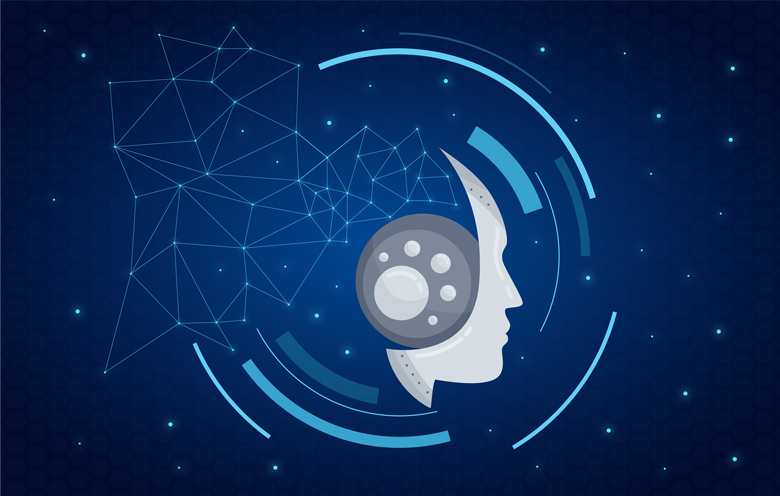 Share the post "AI-powered cognitive services go hand-in-hand with Industry 4.0"
You probably know what the Internet of Things (IoT) is all about by now! And now we are entering into the fourth industrial revolution (Industry 4.0) where AI and cognitive computing play an important role in IoT. The fourth industrial revolution promises to provide high scale automation and ubiquitous connectivity. In this blog post, we will learn about use cases that provide insights on AI-powered cognitive services in IoT. Adaptive signifies capability to process and analyze real-time/near real-time data. Self-learning signifies utilizing machine learning models to mimic the way the human brain works. Contextual signifies the ability to understand, identify, and extract contextual elements such as meaning, syntax, time, location, appropriate domain, regulations, user’s profile, process, task, and goal. Interactive signifies interaction with other processors, devices, and cloud services. Iterative and stateful signifies ensuring that the system is always provided with enough information and that the data sources it operates on to deliver reliable and up-to-date input. 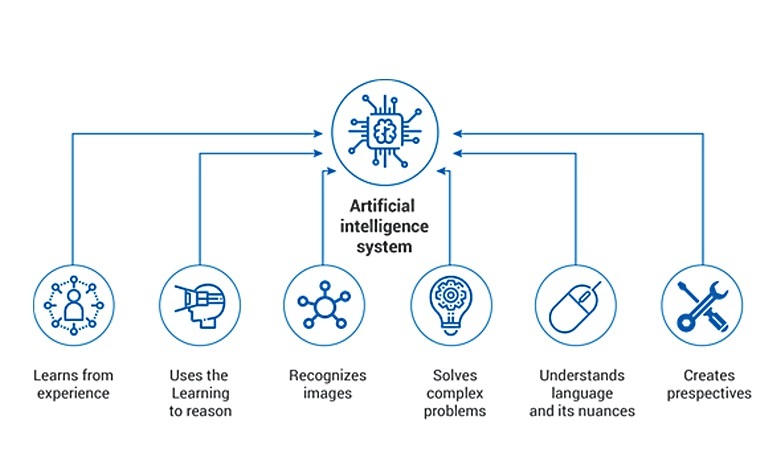 Cognitive computing is a paradigm shift to computing systems that can simulate experiences like the sensory, processing, and responsive capabilities of the human brain. 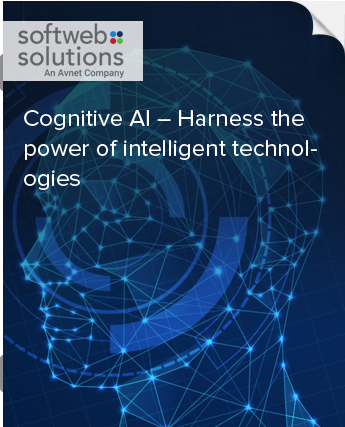 Natural language queries and processing, machine learning algorithms, and real-time computing are some technologies that are involved in cognitive computing. What if you could travel paperless? It would simply be great. Thanks to the AI-powered cognitive face detection functionality that is proving very beneficial for airports. The system uses a biometric match where it looks from point to point of each face symmetry and identifies every face to be unique. It covers a security measure and has the capability to scan travelers’ faces quickly and eliminate any waiting time. Face detection has been found to be one of the fastest ways to perform mass identification. You may wonder how it works: well, the cameras installed at the check-in gates will automatically detect and scan the face of passengers. The system will identify the travelling passengers with their name and flight details and allow them to swiftly go through the automated border control systems (also called eGates). The system will also allow the passenger to board only at the right gate and avoid boarding at the incorrect gate. With the face detection facility, passengers can book their flights and check-in way before their flight timings and receive a boarding pass. This is a great way for passengers to gain higher satisfaction, quickly go through formalities and avoid standing in line. This technology has been under development for many years and is still at a trial stage; however, many airports are finding it to be effective and ready-to-use for check-ins. The image processing of AI-enabled cognitive service is one of the remarkable functionalities that can prove to be very beneficial for the current industrial revolution. Image processing is a form of signal processing in which an input is given to the system such as a photo in the form of optical and analog, but mostly a digital image is referred for more accurate results. The output of this is a set of characteristics of the image. Computer graphics and computer vision techniques are closely related to image processing. Here’ a scenario of how image processing can help in manufacturing and assembly of the sorting system. Manufacturers can integrate image processing solution in the conveyor belt, and the sensors will process the items based on the accuracy of their size and color. The system will easily identify items that do not match the image and result in avoiding packaging of defective products. Here are some significant advantages of using image recognition for visual inspection, first of all, manufacturers will benefit from a reduced probability of defecting products and at the same time achieve more customer satisfaction. The system will provide high accuracy setup that can be operated with less number of staff in reduced time compared to the traditional sorting system. Good hygiene can be maintained as manual handling is avoided. Moreover, it is a non-destructive system, therefore no one and nothing will be harmed. The packaging industries can improve various parameters from a quality check, measuring, counting, and sorting, to packaging activities. The image processing produces faster results when compared to traditional sorting. Modern enterprises own a huge volume of structured and unstructured data like never before. This data is gathered from emails, manuals, documents, social media posts, videos, images, audio recordings, customer feedback, industry reports and more. Shopping can become a little more interesting for consumers as the ‘Smart Mirror’ has arrived. Unlike the traditional brick and mortar store, a modern retailer can simply aim to implement a ‘smart mirror’ to boost the retail customer experience. Here’s how it works: the mirror is a combination of cameras, sensors and display screens that have powerful cognitive algorithms and even a digital assistant (chatbot). Well, it will be interesting to know that the face detection integrated into the mirror is capable of predicting a few things about the shopper such as age, gender, and outfit they are wearing. How about that? Now, that’s not all, this smart mirror will offer customers the clothing suggestions based on personal preferences and fashion trends. What’s more? This could be the best solution for retailers to keep their customers engaged with their brand, as smart mirrors have emotion recognition capability that allows retailers to create a meaningful connection with customers. It will also provide multi-lingual support and eliminate language barriers with intelligent voice-controlled mirror. 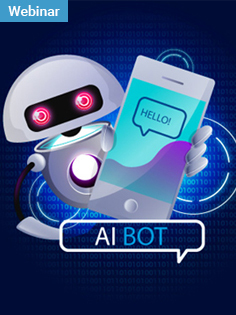 Additionally, interactions with AI-enabled digital assistant in the trial room can create opportunities to cross-sell and upsell products by giving recommendations. Moreover, a smart mirror can help retailers in knowing which products are being tried on and not bought via notifications. Such functionality can bring great insights to the retailer and perhaps help them to display a particular product better. Maintaining a security level in a corporate environment has been a huge challenge for many years. We now have the face detection slowly taking its place in various places with its ability to provide an extra layer of security. This functionality is becoming popular, especially for corporate buildings to track the employees in the workplace. One of the key advantages of using facial recognition for employees is to ensure safety monitoring and to avoid events like theft, robbery or fraud that may happen at the workplace. With AI-powered face recognition technology, you can eliminate various kinds of risks including proxy attendance and enhance your building security by allowing only authorized entry. Additionally, face-based user verification can help to accurately track the time and attendance of your employees without any human error. Moreover, facial recognition and personal identification numbers can identify and log individual faces within crowded spaces and prevent employee data fraud. Let’s see how it works: your employees’ digital photos can be saved in your database to identify them correctly. The face recognition system is a combination of AI algorithms, cameras, sensors, security levels and more that easily identifies faces with their immediate details such as name, employee code, and designation. The technology will monitor your employees’ incoming and outgoing movements and recognize them with their face that is registered in the database. Face recognition will help an organization to maintain workplace security, access control spaces, unauthorized access, server room security, and even emergency exits at the workplace buildings. Face recognition is undoubtedly one of the best ways that help to minimize threats at workplace security. Video analytics is one of the new and interesting aspects of security for over-crowded spaces. As many industries host various events that acquire huge crowds, video analytics can help with maintaining security levels. Video analytics is suitable and largely beneficial for sporting events, music concerts, education fairs, museum spaces, conferences and more. A video analytics technology comes with great optical tools with the capability to identify and classify crowd with demographics including age, gender, preferences, and body anomaly detection. It can even count people accurately in any congested situations. It is the best surveillance technology with the high potential of visual information with real-time video analysis using cognitive services. Video analytics allows you to recognize emotions in video and track the flow of people around a venue, like where they stop and where they don’t, with their body movements. Be it for finding seats in the auditorium, or identifying any suspicious objects for security safety. Such small data can drive the navigation within the event premises. For instance, in the event of sports stadium security, the event organizers can use video analytics to proactively detect and deter threats as people enter the venue. Event organizers can use this system to track banned fans and keep them away and at the same time offer expedited entry to premium VIPs or season ticket holders, and treat loyal fans like super fans. Isn’t it cool? Additionally, video analytics can also help event organizers to detect any suspicious activities being carried out by a person or group. It also helps to detect any suspicious objects left behind that may cause harm. In such a scenario, it will be useful to reduce misplacement or deliberate abandonment of objects on premises. Furthermore, with video analytics, you can predict and take preventive maintenance to protect various types of equipment as well. We are in the midst of significant transformation change and these use cases are rapidly becoming popular to meet the current challenges of industries. In the near future, you can expect to see AI-powered cognitive services to be at the core of IoT solutions anytime. If you wish to know more about our cognitive services in IoT then get in touch with our experts.